At 3PL Center, we are the perfect partner for setting up customized logistics solutions for your toys business. Since our inception, we have carried out innovative, industry-specific solutions in the toys niche based on experiences of traditional media logistics as well as professional structures. With our special logistics infrastructure – tailored to the unique needs of the toy industry, we provide top-notch quality, efficient, and fast delivery to both end consumers and retailers. 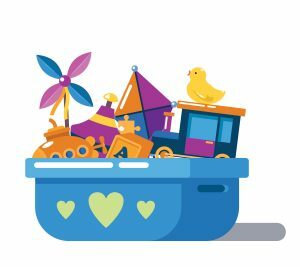 In the toy industry, companies face two major challenges: the need to modernize their business model so that they can deal with increased competition; and avoiding the circumstance when popular toys become out of stock. If you can relate to these issues, you are not alone. Businesses that trying to carve a name in the niche need to remember to hold more stock of popular items on hand. Toys that are less well-received can be moved to warehouses to free up more space for top-sellers. However, it’s easier said than done. If you are facing difficulty while applying this to your inventory, it’s time to outsource your logistics to a third party logistics provider. A 3PL provider ensures that your orders are delivered to retailers and end customers on time and affordably. Why Choose 3PL Center for Your Toys Business? At 3PL Center, we have accumulated a combined experience of more than 45 years when it comes to working with toys businesses in the continental United States. Third party logistics is our forte, and a wide range of organizations in the toys niche have has benefitted from our innovative solutions. Warehousing: We have highly organized systems in our warehousing facilities to handle your toys inventory. You can also rest assured that our facilities meet the AIB International consolidated standards for cleanliness. Fulfillment: 3PL Center offers affordable and reliable fulfillment solutions that ensure your orders are sent to your customers at the right time. What’s more, the status of your toys stock can be tracked via our proprietary fulfillment software. Distribution: We continually strive to optimize the distribution process of our customers’ toy orders. That’s why we provide two-day ground shipping services and offer discounted carrier rates as well. At 3PL Center, we place customer satisfaction as one of our top priorities. That’s why we provide dedicated customer service to all our clients in the toy industry. We listen to our clients’ unique requirements and try our best to customize our 3PL offerings to accommodate their needs. When you work with us, you will understand why our 3PL solutions for toy businesses are second to none. Give us a call at 732-391-2500 or send us an email to sales@3plcenter.com today to find out more!